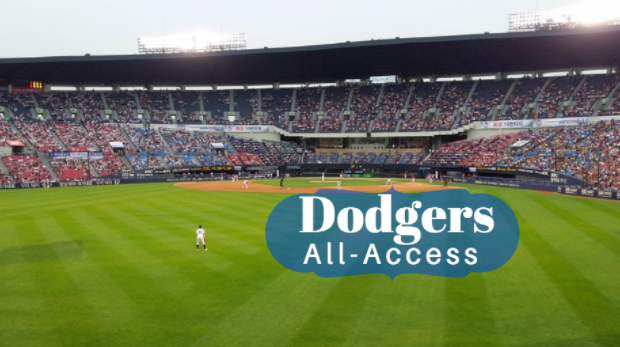 Whether you are a die-hard fan of the Dodgers or consider yourself a fan of baseball and sports, the 2017 4th annual Dodgers All Access event is just the thing for you. At this exciting event, you’ll be able to enjoy an exclusive look at the Dodgers. Get behind the scenes access to the field, meet alumni Dodgers players and more! This year, the Dodgers All Access event will take place on Monday, August 14th. If you’re staying at hotels near Dodger Stadium, get your tickets for this exciting event today. When you attend the Dodgers All Access event, your day will start at 4:30 pm when you check in for the event and enjoy a drink at the Welcome Bar to kick things off. During the event, you’ll have the opportunity to experience some fun activities. For example, head to the press box where you can join AM570 LA Sports and try your skills at calling play-by-play action. Up in the press box, you’ll also be able to meet Dieter Ruehle, the stadium organist! Outside on the field, you can try out your pitching skills and test the speed of your fastball at the Dodgers Bullpen. You can even get tips from Dodger Alumni on how to throw the perfect curveball. After that, enjoy some batting practice at the Dodger Home Batting Cage and learn from the best on how to perfect your swing. Other activities include photo opportunities with Dodger Alumni, bid at the silent auction and stop by the Spectrum SportsNet anchor desk. While you enjoy all the fun, be sure to catch an exclusive tour of the stadium. Tours will be held at 5:30 pm, 5:45 pm and at 6 pm. Each tour is 30 minutes. Starting at 6:30 pm, enjoy the buffet dinner that will take place out on the field. At 7 pm, there will be a welcome address and a panel discussion featuring current and alumni players. The night will end with the silent auction closing.